With with the reduction of real political support , either or any side of the gravy train,oh I mean, politics we’ll see a further reduction by 33% for installations completed after 30th June 2012 for the Energy Bonus Scheme without real debate. Give massive multi national corporation making multi billion dollar profits for which considerable amounts of dividends and tax savings go off shore to tax havens – (ok I know I shouldn’t raise that but even Gillian knows about that deal) into endless free money pockets of ……….. (even I know to stop now). The others will be taxed and all will be bashed by a series of prices rises across a hugh section of the economy. (a) Give a householder a rebate of a few $1000 dollars and reduce use of carbon fuels – benefits: known result, one off spend, reduced carbon usage, Australian tax payer get benefits and the list goes on. (b) Provide 150 to 200% incentive tax breaks for direct investment into energy saving processes. With the inept installation implementation programs that caused much public anxiety the issue of poor performance of existing home continues. Just because our man Peter Garrett sings better songs than he runs a government department, doesn’t mean we can’t get it right. Its hard to really know what he stands for now, poor Peter. Reading an article in this months BDAV News by Tim Adams, his clear point is that our political leaders need to man up, OK well he didn’t say that hat’s how I read it, but he actually stated ”Regardless of any esoteric debates about these initiatives (insulated ceiling and the like) providing middle class welfare, we need to consider how low-income earners and pensioners can join in the huge task we face. At a time of uncertainty about Australian manufacturing and job losses across the board, some of these programs may deliver gainful employment opportunities. 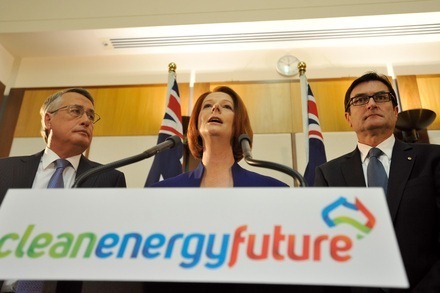 Vale Renewable Energy Bonus scheme roll on climate change”. So he’s essentially advocating delivering known energy remedies directly into high power usage homes. Benefit both those homes and carbon usage. I feel I and many Australian, can’t quite figure how and what the Carbon Non-Tax is proposing to do for us. Only thing I know is the cost of power over the last 18 months has risen markedly without a significant change in delivery method. If this continues with the worsening economy hardship to lower and middle families will prevaile. So I join the ranks as a disgruntled 55+ professionals who is feeling more and more that the real principals of government has been left behind and our leaders are out only for personal gain, period. Frankly over the last 3 to 4 years it’s hard to argue against my reaction. Yes I think investing in reducing household cost’s is a sensible investment and something house owners should budget for. Not just wait for a government solution (Yes I’m aware many are and congratulations well done). Efficent HomesI are a win win for the owners and the country. More comfortable homes and lower cost of living is sensible . Government should support the smart solutions rather than simply handing out money rebates. Invest for long term solutions while energy production improve towards lower environmental impact methods is sensible. As to what difference overall to the world climate it makes, well that debatable, but doing the right thing is sensible. This entry was posted in General and tagged Renewable Energy by rossseddon. Bookmark the permalink.